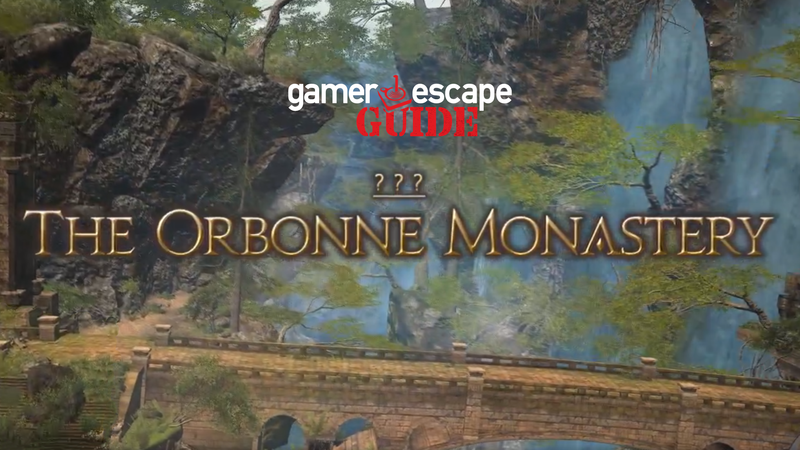 Welcome to the Gamer Escape guide for The Orbonne Monastery! Before we start, since this is my first published guide, I’d like to ramble a little bit about my goals for this and any future guides. My own personal preference for learning content leans towards reading through a text guide and filling in the visual gaps with videos. I also prefer if I can find a text guide that’s not too long-winded. For my own guide format, I’d like to try and provide just enough text information that the reader doesn’t start to go cross-eyed while reading, and then supplement it with video snippets from my own runs to visually clarify how specific mechanics work. Listed mechanics are in timeline order and repeated mechanics without modifications won’t have the description the second time. If you like this format, please let me know! If you HATE this format, or have suggestions on how to improve it, please let me know! If I miss a mechanic, or incorrectly describe how it works, please let me know! Let’s begin! Cast protect, pop peloton, and trot on up to the first encounter: three face-fire-pigeons, aka Harpies. Blasphemous Howl – Each Harpy will cast a circular AoE centered on a player for a total of three. Devitalize – A gaze attack, which applies a cleansable Doom debuff if failed. Once these three mobs are dead, a Monastic Ghost will appear in the center and summon two sets of three Monastic Skeletons to the left and right of it. Dark Eruption – A circular AoE centered on a random player. Lingering Resentment – A larger circle AoE. Unfinished Business – Covers half the arena from the Monastic Ghost to one side and does minimal damage, but confuses anyone caught in it. Stick close to the ghost to avoid it. After a scenic run, you’ll arrive at the first boss encounter with Mustadio Bunansa. Left/Right Handgonne – These always come in combination, one, then the opposite if whichever one was used first. They’re a blanket AoE covering whichever half of the arena as named, plus a cone straight forward toward the main tank, which adds up to about 2/3s of the arena. Maintenance (version 1) – The boss tethers to two of the eight red robots on the northeast and northwest sides of the arena. These yellow tethers wake up two of the robots, which then simultaneously drop crossing linear AoEs, so find the safe spots using the pattern on the floor. “I see you.” – This is an unnamed, uncast attack, the only prompt for which is Mustadio saying “I see you,” both visually and audibly. Six people will get targets on them and then circular ground AoEs will follow them from their original standing points until their movement times out, at which point they will explode. Run out to avoid these and clear the center for those without the mechanic. 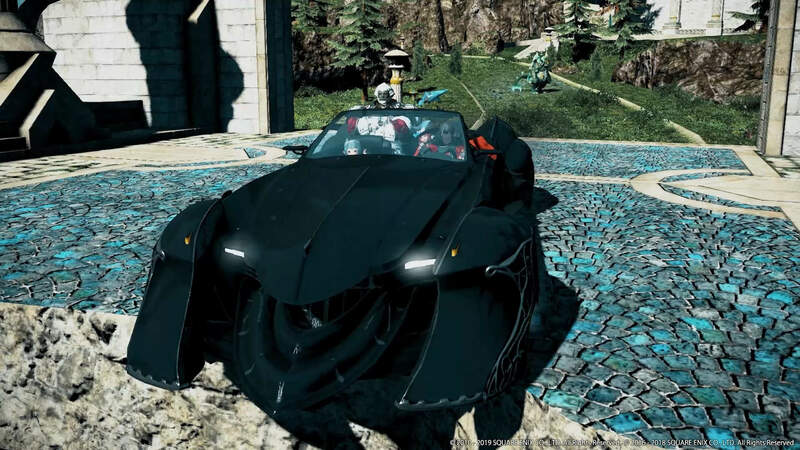 Analysis – Leads into a short cutscene. Analysis applies a debuff to everyone called Left/Right/Etc. Unseen, that circles your character on three sides with a gold, flashing effect. This is not a shield! In essence, these three flashing sides are where Mustadio has analysed you and found your weak points, so you want to face the blank, open side of your circle toward him. For this first jump he’ll always go northeast. The damage you take from his shot, Last Testament, is massive, but if you live, you probably did it right. The shot also briefly stuns you with a Down for the Count debuff. Leg Shot – Places down three mine-style objects on three random players, which should be avoided entirely. Detonating the mine results in paralysis for anyone in a splash radius. The mines will also eventually explode on their own, so give them space. Left/Right Handgonne – The previously mentioned mines will explode after the two Handgonnes resolve. Maintenance (version 2) – The two tethers coming off Mustadio this time are blue and lead to turret style robots. These turrets make a 2×2 square AoE around them, which you can also find and avoid by using the pattern on the floor. Ballistic Missile – Mustadio shoots several rounds into the air that become three pulsing, player centered, movable AoEs. Left/Right Hangonne – Here, after the cast for Ballistic Missile finishes, the one for Left/Right Handgonne starts, so if you get one of the AoEs, be a pal and move them away from the group, but don’t go too far because you’ll have to dodge the second half of the Left/Right Handgonne set after the AoE resolves. Maintenance (version 3) – All Maintenances from here on out will be type three. This final version combines both previous version. You’ll have four (instead of two) yellow tethers to linear robots this time, as well as two blue tethers to 2×2 turret boxes to avoid. Luckily there are always two 1×1 safety squares that you can find pretty easily. First, locate the blue tethered turrets that are going to be activated and head to one of the two quarters of the arena that will be clear of them. As you run to those, observe the yellow linear tethers that will be dropping in that quarter and adjust to the single 1×1 square of safety that remains. Ballistic Missile – Six marked players instead of three. Analysis – Be mindful that for this second jump he can go either northeast or northwest. Left/Right Handgonne – Watch out for those mines as you’re dodging. the cleaves. I wasn’t able to identify an exact pattern here. Another jog through some cellars brings you two the second boss: Agrias. Putting down markers for A, B and C are important for the add phase of this fight. A and C are placed slightly northward to give the players at B extra space outside of the Sword Knights’ AoEs. Divine Light – Arena-wide AoE damage. Thunder Slash – The tank buster, indicated by a marker over (hopefully) the main tank’s head. Note that this is a cleave! Heavenly Shield – Two yellow light puddles will appear and walking into them will give you access to use Heavenly Shield against some of the attacks in this encounter via your extra actions button. When using it, make sure you’re facing the source of the attack and do not move after activating it or you’ll drop your shielded stance. You also don’t have to stay in the puddle to keep the extra action charge, you can leave once you’ve touched it. Judgement Blade – The first attack you defend against with Heavenly Shield. Wait until near the end of the cast and tap your extra actions button. Seriously, don’t move. Failing this mechanic results in damage, a knock-back and a vulnerability debuff. Cleansing Flame – Six, pulsing, movable AoEs centered on random players. Cleaning Strike – Sends one party to another realm. The party will get an uncleansable doom debuff with a timer of slightly more than a minute upon arrival. In this secondary arena you’ll find a Heavenly Sword puddle, get the charge. Tainted Souls of two types will spawn here: black ones, which can be damaged regularly and white ones, which you must use the Heavenly Sword action on. Black Tainted Souls will attempt to make it to the center of the arena and if they’re successful will explode for damage and a vuln’ debuff. White Tainted Souls spawn a countdown if they’re left alive too long. I haven’t seen the results of a failed white Tainted Soul countdown, information would be appreciated! When exiting this realm into the main arena, the party will have an invulnerability buff in case they’re placed in danger. Heavenly Sword – Much like Heavenly Shield, Heavenly sword is an extra action charge picked up from either of two purple puddles on the ground. For Heavenly sword, the extra action button swings a sword that you use against certain objects and mobs during the encounter. Consecration – Traps a party’s worth of players in hexagonal cages of light. During this cast, all players still on the field (some will be in a separate realm) should pick up the Heavenly Sword action and be ready to free the trapped party. Northswain’s Strike – Projects several linear AoEs across the arena. You must cross these to use Heavenly Sword against the Consecration cages, but the cast time for Northswain’s Strike is long, so you have time. Sprint can’t hurt. Hallowed Bolt – Two players will get marked for this and should stack somewhere on the field, preferably off to one side or straight back. Once the marker timer finishes, a large donut AoE or a circular AoE will form around both players. Once this first AoE resolves, a second will form. If you got the donut first, a circle forms in the negative space of the first donut. If you got the circle first, the donut will form around that first circle. Both markers will always have the same donut/circle sequence. Stacking these makes for less dodging for the rest of the alliance and taking them off to the same side, means the alliance doesn’t have to leave the rear of the boss. I have also seen 3 hallowed bolts happen. A and C parties will be dealing with Sword Knights. These mobs will cast a huge, inescapable (if you’re toward the center) AoE must be mitigated with Heavenly Shield, so make sure you pick up the charge before heading in to fight. Both of these knights will use their AoEs at the same time, so it’s important that they’re separated so that no parties experience overlap. It’s especially important that their AoE doesn’t encroach on the area party B will be fighting in, as they have to have the Heavenly Sword charge instead. B party will be fighting a Shield Knight. During the fight with it, it will summon up four, tethered shield objects that must be dispatched with the Heavenly Sword action before it will take any more damage. After the three are dead, Agrias will cast her mid-fight, big damage style attack, so group, mitigate and heal. Divine Ruination – Three players will be tethered to Agrias and, once the cast goes off, a linear AoE will travel from her to each of them. Those three players must get the Heavenly Shield action to mitigate the damage, but no one else needs to worry about the action charge or AoE damage as long as they avoid the three tethered players. Hallowed Bolt – The party in the other realm will return approximately here. Divine Light (x2) – Two, back to back. The pattern repeats from Divine Ruination to Judgement Blade until death. Next is a very short run to a trio of Nightstalkers. Upon defeating all three, a bigger, badder Nightstalker: Dark Crusader, will spawn. Dark Rite – A semi-random arrangement of pink circles will appear on the floor. Possibilities include: 12 sets of 2, 6 sets of 4, or 8 sets of 3, for a total of 24 in all circles. The number of smaller circles inside the pink circle indicates how many players need to stand in the pink circle. Players need only touch the circles with the correct number of characters, they don’t need to stay in them. A chain circle will appear above the pink summoning circle when it’s been deactivated. This is exactly the same mechanic seen in Great Gubal Library. Failing this mechanic spawns an additional mob for each pink circle missed. A trio of liner AoEs from the boss to three random players, followed by a second set. These abilities repeat, though in no clear pattern because of how brief the encounter is. Just around the corner is Count Cidolfus Orlandeau, The Thunder God. 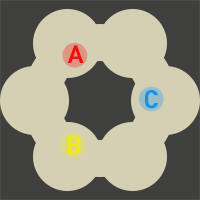 There is often a little discussion here about how the markers should be placed, but it doesn’t really matter as long as A is northwest-sh, B is south-ish, and C is northeast-ish, and each party only uses two of the six circles for their mechanics. For my guide, I’ve chosen to place the markers on the circles that parties are returned to after the adds phase. Most groups that I’ve encountered stand in their right-hand circle and move their mechanics clockwise. 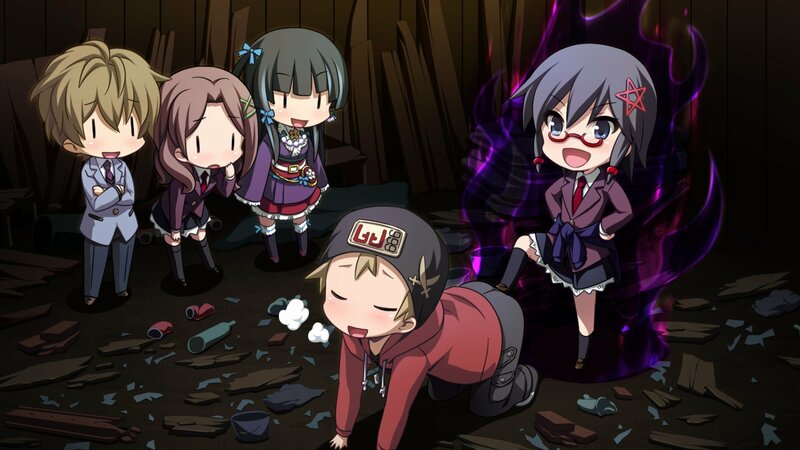 Cleansing Strike – All players’ HP is knocked down to 1 and everyone is given a doom debuff that can only be cleansed by completely refilling their HP. Healers have 15 seconds to accomplish this. T.G. Holy Sword (version 1) – Thunder God will place one of his three swords over three of the six circle platforms. After the cast bar finishes, he will smash the swords down on the platforms, so move to a clear one. T.G. Holy Sword (version 2) – One of two things can happen here: T.G. will stab his swords vertically down into the ground, in which case you must move in close to the boss to avoid his attack. Alternatively, he will hold his swords horizontally to his sides, readying for a spin. Move out to avoid this attack. Shadowblade – A marker will be placed on one player per party that will do damage to them and drop a growing bubble where they’re standing when the marker times out. Before the effect goes off, the targeted player must run either to the back of the circle they’re currently on, or clockwise to the circle to the party’s left. If, by some chance, the bubbles end up overlapping before they dissipate, they will give the entire alliance a bleed debuff that stacks based on how many bubbles are touching. Crush Helm – T.G. will put four stacks of cleansable vulnerability on the tank, then hit them with a tank buster. The vuln’ stacks must be cleared before the heavy damage hit. Duskblade – On each of the six platforms there will be a divided circle. Each circle requires three players to stand in it to correctly complete the mechanic. Each party must handle two of the six. Failing this mechanic results in high damage across the whole alliance. The damage is higher for each circle not correctly filled. Crush Weapon – One player per party will be marked and will be followed by a ground AoE that will hit four times. 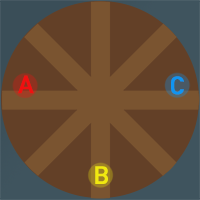 Standing center or center-back of the party’s right circle, waiting for the red AoE indicator to show up under your feet, and then booking it clockwise to the party’s left circle will easily put you out of range of the damage from this mechanic. This requires anyone standing on the bridge between the circles to vacate it. Melee range jobs may wish to duplicate this technique closer to the boss for more up-time. Add phase – players will be thrown upward onto another platform. Three smaller Thunder Gods called Ephemeral Knights will be waiting up top, one for each party. Hallowed Bolt – Very similar to the donut/circle Hallowed Bolts in the previous Agrias fight, except that the indicator for the second AoE will show up before the first AoE has gone off, so you have to move into the clear space left after the first AoE completes in a faster fashion to avoid getting hit. Take the marker either directly back against the wall behind your mini T.G. or slightly clockwise to avoid overlapping this giant AoE with the other two parties and to make dodging for your party simpler. Immediately after the two AoEs from Hallowed Bolts resolve, the party must stack for a shared AoE circle. This one hits hard, so the majority of the party has to be in it. Hallowed bolt – This is the same random AoE pair, but instead of the stack afterward, one player in the party will get a lightning tether. The tethered player must aim this tether away from their party, as well as away from the other groups in preparation for the linear AoE that will be fired from the Ephemeral Knight via the tether. Running through the tether will give players a heavy lightning bleed debuff, though it is cleansable. These two Hallowed Bolt versions cycle out until all Ephemeral Knights are defeated, but if you get to a third one, you’re likely just about out of time. Once the three are dead, The Thunder God will cast their mid-fight attack, the arena will break and the alliance returns to the first platforms. T.G. Holy Sword (version 3) – Similarly to version one, he will hold his sword over three platforms, but this time he will put them out over random platforms, in a sequence, rather than all at once, during the course of his cast. You may have to move across multiple platforms to avoid these strikes. Crush Armor – A tether, which can be intercepted by standing between the boss and the currently tethered player, will attach to a player in each party. Four hits will go out on this tether, giving the player receiving the damage a vulnerability stack each time. To avoid dying to this vuln’ stack, the tether must be traded to a fresh player after each hit. This cannot be handled by the tank. Shadowblade – This time each party will get two markers. It’s important that each of the six marked players make it to their own separate platform to avoid overlapping bubbles. Crush Accessory – Each of the six platforms will be covered in an AoE with only a small circle of safety at the back of each of them. Once the cast for this finishes, the AoEs will explode and each platform will be covered in ice where the orange AoE indicators were previously. This ice does not cause you to slide over it, but crossing it will give you an ice based bleed debuff that only goes away when you stop touching it. Three of the six platforms will have an Icewolf node that needs to be killed before it’s Burst cast completes. If any of the three Icewolf mobs are allowed to explode, it will wipe the raid. Using the tank limit break here does save the party. The pattern repeats from T.G. Holy Sword (v1) after the add phase to Crush Accessory until death. A quick jump from the Thunder God’s arena and a run down a flight of stairs zones us into the final arena in Orbonne Monastery against Ultima, the High Seraph. Holy IV (version 1) – Six circular ground AoEs form under random players. Auralight – A huge circular AoE centered slightly in front of the boss with three arms of linear AoE going out to three random players. It’s extremely advisable here to not cluster up with too many people. The three linear AoEs turn into impassable ice walls after they explode and if you’re grouped closely with too many people during the mechanics to follow, you may die just by virtue of not having enough time to run out of them. Holy IV (version 2) – Six, circular, ground AoEs form under random players, plus 6, player-targeted, movable, circular AoEs. Grand Cross (version 1) – Three crystalline structures will drop, one after another, onto the field. Once all three are down, they will charge and shoot bomberman-style cross AoEs toward cardinal directions. For this first half of the fight with Ultima(tHS), it’s helpful to note that the clear spot between these AoEs will always be the square either right or left of Ultima’s position at the front of the arena. Once you see if the crystal has dropped to the right or left, you simply stand on the opposite side and ignore the rest of that mechanic. Demi-Aquarius – UtHS summons Demi-Famfrit, who you may recall as the jug guy from the first fight of the previous 24-man raid. He then casts Dark Ewer, which puts three Aspersores, moving water tornados, out on the field. Auralight – This happens in combination with Dark Ewer. Demi-Aries – Demi-Belias is summoned next, and casts Time Eruption, covering the field in quickly and slowly spinning clock faces. As in the previous raid, stand in the slow clock first and move into the first one after it explodes. Holy IV (version 3) – This last version has only the 6 marker targeted AoEs. In this case, it happens during Time Eruption, so be mindful of avoiding the AoEs while dodging clocks. Demi-Leo – Summons Demi-Hashmal who casts Control Tower, calling up this twin pillars, which he then cuts and lets fall. Avoid being in the path of the falling pillars. Holy IV (v2) – While avoiding the pillars, also be mindful of this second version of Holy IV (floor and targeted AoEs). Grand Cross – Usually she begins her summoning phase after this, but if your alliance DPS is low, you may see the next few mechanics. Flare IV (x2) – Those with the two markers should separate them to minimize doubled up damage and everyone else should avoid the two marked players. Triple Summon – Ultima calls back Demi-Famfrit, Demi-Belias, and Demi-Hashmal who then to a do a combination of another set of their attacks from the previous 24-man. Earth Hammer – For now, just note the location of this falling meteor-type attack and get as far away from it as you can to make worrying about the other mechanics easier. Try to stick with at least one party member while making this run. Dark Cannonade – Just before the slow moving clocks from Time Eruption explode, Dark Cannonade will take effect, marking one of the three parties with small, triangular stack markers. If you tried to stay with your party while dodging the previous mechanics, you shouldn’t have too much trouble finding someone to stack with to avoid the damage and brief stun from being tossed in the air from failing this. Earth Hammer – After the stack mechanic resolves, Earth Hammer will finally drop, killing anyone too close to it. If you moved away from this first thing, then you shouldn’t have any issues. Dark Ewer – Demi-Famfrit will call four Aspersory mobs this time. Eruption – Demi-Belias marks three players with a large circular AoE that will follow them for three strikes. Extreme Edge – Demi-Hashmal charges Extreme Edge on either the East or West side of the area. Take note of which side his glowing arm is on (North or South) and make your way in the opposite direction while dodging everything the other 2 Demis are throwing at you. Ultimate Illusion – The three previous bosses from Orbonne Monastery return in their human forms to shield you from this attack with a bubble. Get in. The entirety of the rest of the arena falls away as Ultima starts casting and, even through the bubble, she hits the alliance with a constant tick of about 4-5k damage unmitigated. Heal! A gauge for how much strength the shield has left will appear and the alliance must quickly DPS down the Seraph’s second head, Ruination. A mostly intact alliance shouldn’t have any issues with this check, but if your group has significant death, limit-breaking through this is advised. If the shield stays up, Ultima uses her halfway-through-the-fight, scenamatic attack and pushes you passed this encounter’s checkpoint. Demi-Virgo (version 1) – Linear AoEs that run north and south. Eastward/Westward March – This “wind” blows whichever Demi-Virgo mechanic Ultima has put down either to the left or the right. That’s right, AoEs will move on you. For this very first version of Demi-Virgo, when you see the linear AoEs mark the field, stand in them. East/Westward March will blow it out from under your feet. Grand Cross (version 2) – Just like the first version, three crystals will drop in sequence onto the field, but there will not be a 50/50, easy safe spot to find. Eastward/Westward March – This time the “winds” will move the Grand Cross structures, but only those that landed before the cast of March finished. Usually this means only 2 of the 3 will move. Running in the direction the wind is coming from can help get you closer to where the safe spot will most likely be once the winds have pushed the crystals. Demi-Virgo (v2) – Six very small circles will show up in a ring around the arena towards the edges. They will flash and move clockwise or counterclockwise 4 times before becoming active. Each one needs to have a player stand in it to fend off a Dominion mob. For each circle missed, the Alliance receives high damage and a vuln’ debuff, so this can easily wipe a raid if it’s ignored. For your efforts, though, you’ll get a damage up buff, Fearless. Demi-Virgo (v3) – A single Dominion angel will come down and tether to a random player. The tethered player will take constant, but manageable damage from the tether, about 18k. While a tank is preferred to handle the tether, anyone with a watchful healer can handle it. Embrace – This attack, cast by the Dominion, places four spiral traps on the ground that become invisible shortly after being placed. If triggered they do damage and hold the player in place with a cleansable Bind. 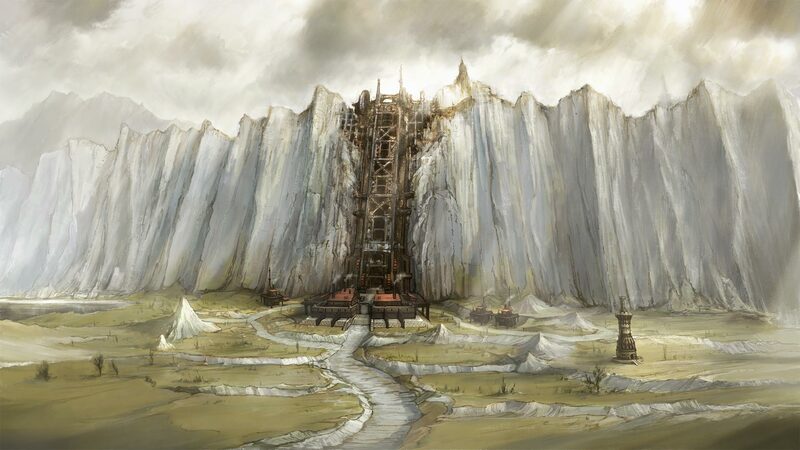 The Maze – Ultima knocks everyone to the South end of the arena, doing minor damage, and then builds a simple maze of ice walls between herself and the alliance. You must navigate the maze while dodging AoEs, watching to see if you have Acceleration Bomb and dealing with that countdown timer appropriately, and doing so all the while “Out of Action,” aka unable to use any spells, abilities, etc. The maze also punishes you by systematically moving row by row forward with a high damage ground AoE, so don’t lag behind! Once you’ve reached the tight quarters of the normal arena floor under Ultima, you’re once again able to use your abilities. Holy IV (v3) – Three marked players. Flare IV – One tank will have the familiar Flare marker placed on them and must run away from the alliance. Shortly after this, Ultima will return to the center of the arena and restore it to normal. Demi-Virgo (v1) + Holy IV (v2) – NO March! No last phase pattern identified, just combinations of mechanics up until you defeat her, so stay on your toes! Thanks to everyone who gave this guide a read-through! Hopefully it gave you some insight somewhere if you were in need of it. As stated above, any and all constructive criticism is welcome, so feel free to hit me up via [email protected]!